The winning team of the table quiz wins a trophy. 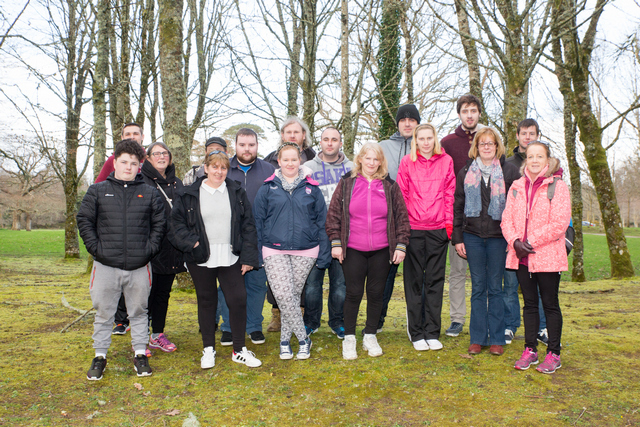 North Kerry College of Further Education is now accepting applications for its VTOS Programmes 2017/18. There will be an open day in North Kerry College of Further Education on Wednesday 8th March 2017 between 1PM and 7PM. 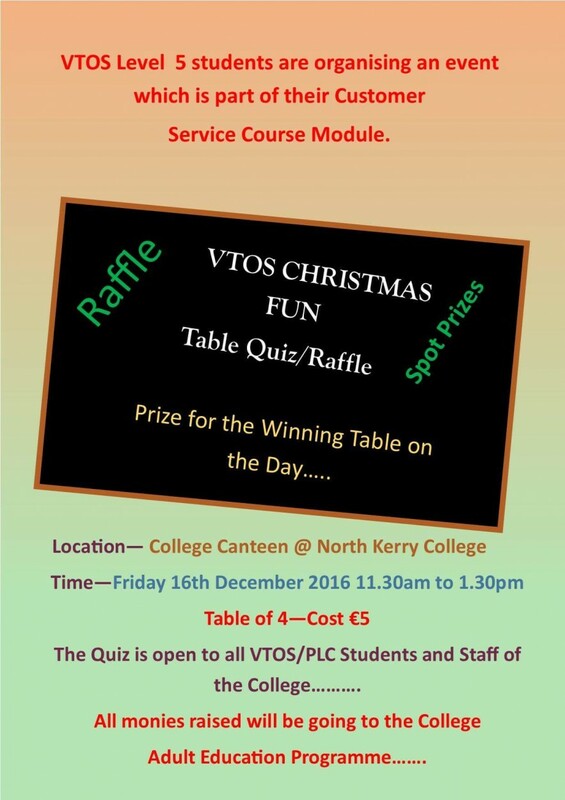 For further information contact the school on 068 21023 and speak to our VTOS Co-Ordinator Rena Liston or Email: vtos@northkerrycollege.ie. VTOS students had a great day in Killarney National Park with VTOS co-ordinator Rena Liston and Kevin Langan, photography teacher. The VTOS photography students took some fantastic photographs for their portfolio's. They are looking forward to their next outing to Thomand park. 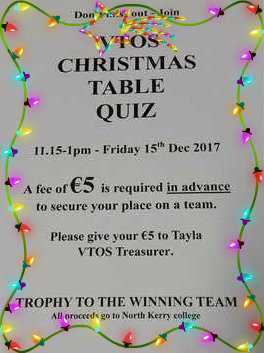 The VTOS Level 5 students are organising a Fun Christmas Table Quiz / Raffle as an event which is part of their Customer Service course module. 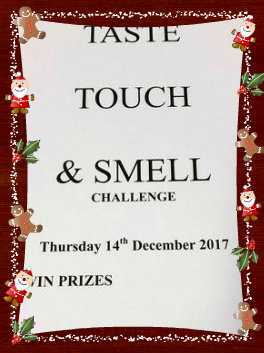 This will take place in the college canteen on Tuesday, December 13th from 11.30am to 1.30pm. Each team will have a table of four at €5 per person. The quiz is open to all VTOS/PLC students and staff of the college. 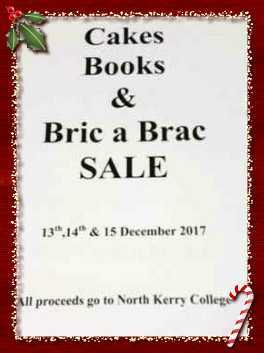 All monies raised will be going to the college adult education programme. There will be a prize for the winning table on the day. There will also be a raffle for which there are some very nice spot prizes to be won. 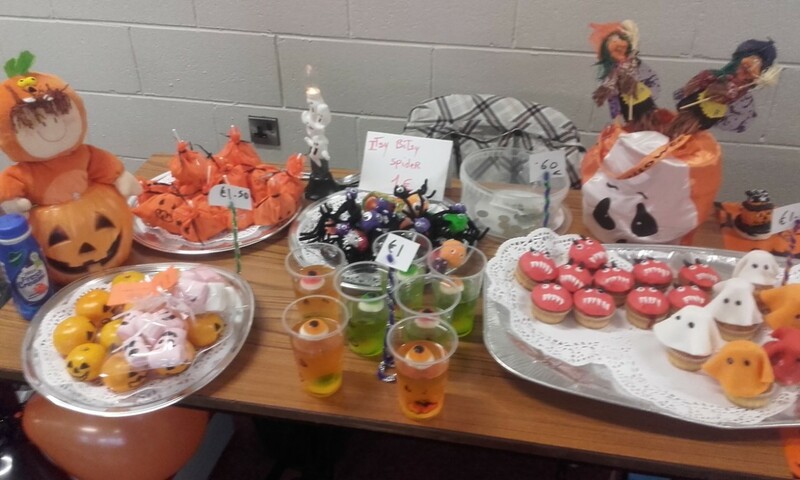 On the 28th October VTOS level 3 students set up an event to sell Scary Treats for Halloween as part of their Personal Effectiveness module. 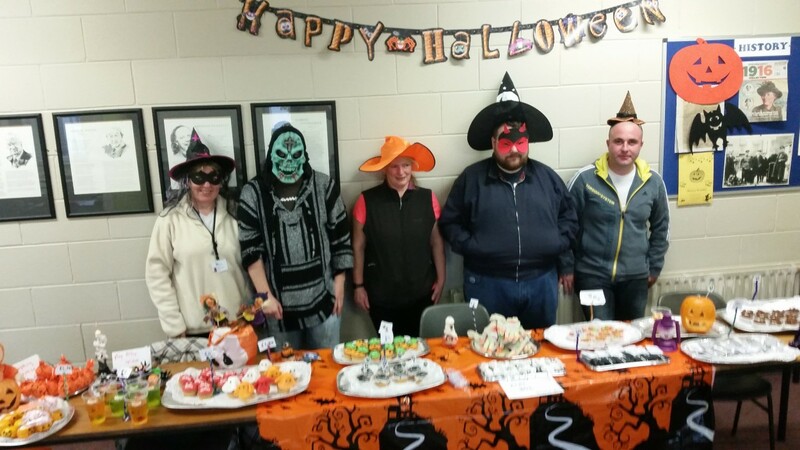 They made cupcakes, rice Krispy buns and made bags of sweet with lollipops which they sold to the other students in North Kerry Collage. All the proceeds collected will go towards the next VTOS event. It was a huge success and the VTOS student thoroughly enjoy doing it. 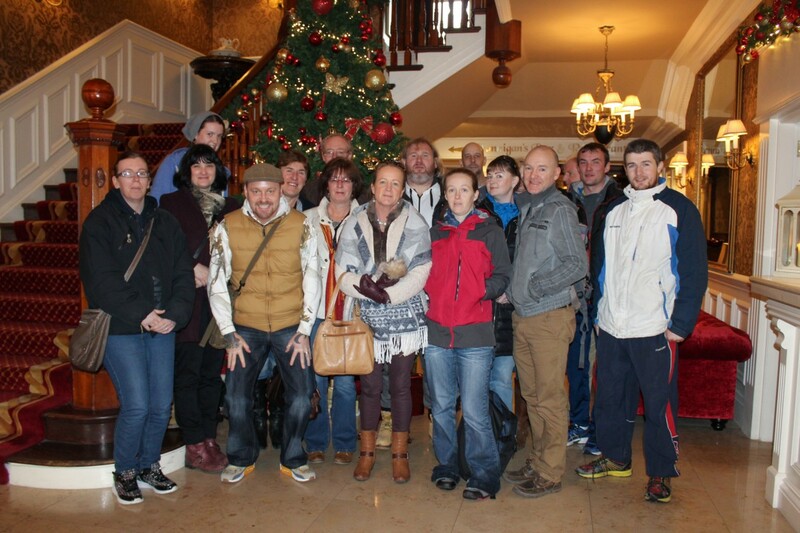 On Friday 11th December we set off from Listowel on our Mystery Tour and we ended up in the scenic town of Killarney. We started the day with a visit to the beautiful Torc Waterfall, followed by a festive sleigh ride around Killarney town and through the National Park. Of course we could not leave Killarney without a bit of christmas shopping. A great day was had by all and we are looking forward to our next outing. 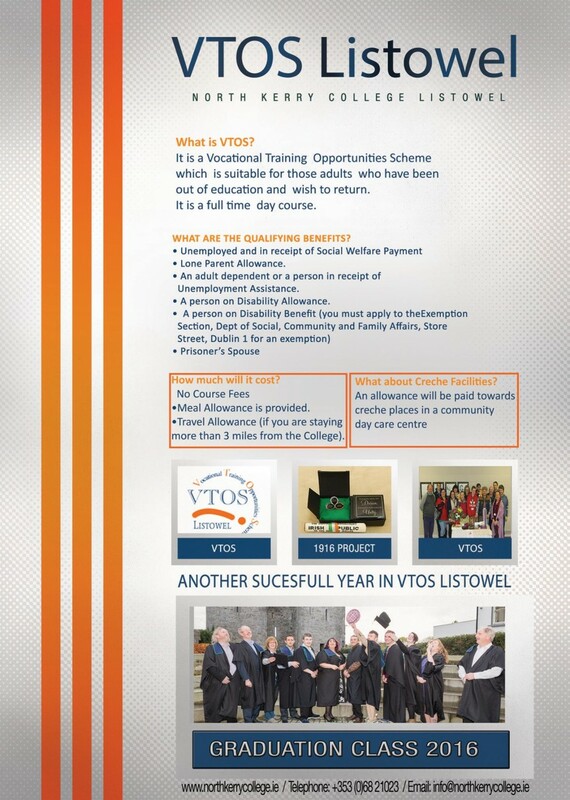 VTOS is a second chance education and training programme which offers unemployed adults the opportunity to return to full-time education without losing their social welfare payments. Participants will make new friends and acquire valuable educational qualifications in an adult-friendly environment. Participants who complete the course will receive a QQI (FETAC) certification in Employment Skills Level 4 and IT Skills Level 4. We particularly welcome people who may not have had the opportunity to progress through secondary school. For further information contact the school on 068 21023 and speak to our VTOS Co-Ordinator Rena Liston for further details.